Residents in many Michigan cities have been told to "pre-flush" their taps the night before taking water samples. A common practice by operators of municipal drinking water systems is getting more scrutiny. 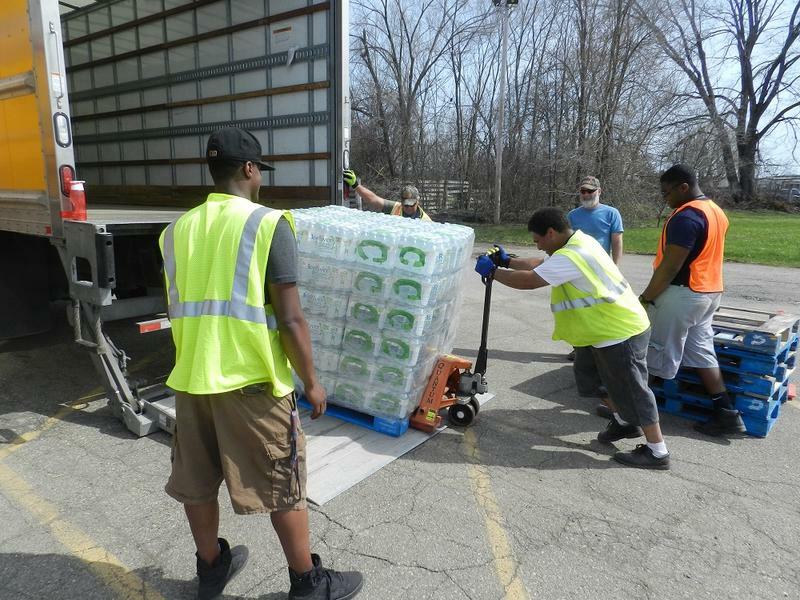 Last week the first criminal charges were filed in connection with the water crisis in Flint. One of the charges caught my attention, because it includes a practice that’s the norm in Michigan cities. 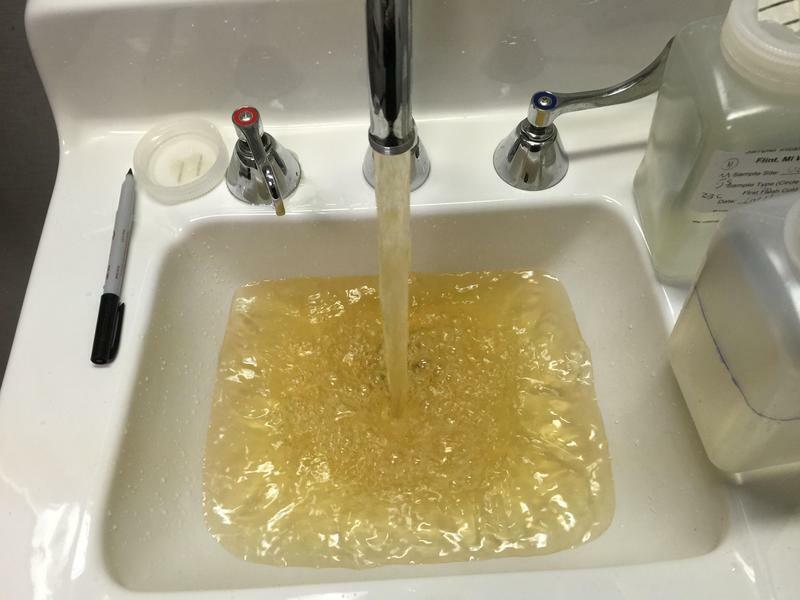 There are a few ways we know Flint’s water samples were manipulated. The city didn’t test at the right homes – that is, homes with lead service lines. It dropped two water samples that had the highest lead levels, citing technical reasons that defy common sense, but may or may not have technically broken the law. But then this criminal complaint also says the manipulation of water samples goes even farther, saying the two defendants who work for Michigan’s Department of Environmental Quality "did improperly manipulate the collection of water samples" by directing residents to "pre-flush" their taps the night before they collect the water sample. The instructions the city sent to residents who sampled for lead in their water last summer tell people to turn on their cold water tap and let it run for five minutes (that's the pre-flushing part). Then, people are supposed to wait six hours before taking their water sample. An official at the U.S. EPA told us last fall that pre-flushing is not a “best practice,” but it’s not illegal. The EPA says it’s not a good idea, because you can significantly underestimate your lead sample results – making it appear lead levels in drinking water are lower than they really are..
Virginia Tech’s Marc Edwards says because pre-flushing is not against the law, water system operators don’t think it’s such a bad thing. “It kind of creates this culture where they’re thinking ‘oh, if it were really bad, EPA would tell us. EPA would force us to stop doing this,'” Edwards said. In fact, last summer, the EPA suggested the state drop the pre-flushing suggestion from its water testing guidance altogether. But, MDEQ pushed back. Emails show that, at the time, state regulators said they’d only do that if the law required them to. In December, the state changed its tune on this. Its guidance for cities has no mention of this pre-flushing practice anymore. But it’s still not illegal. So why is pre-flushing mentioned in this criminal complaint? “This is a first,” Edwards said. Edwards says he’s never seen “pre-flushing” in a criminal charge before, even in Washington DC, where the practice was under some scrutiny. He thinks Michigan’s attorney general could have a hard time getting this charge to stick. 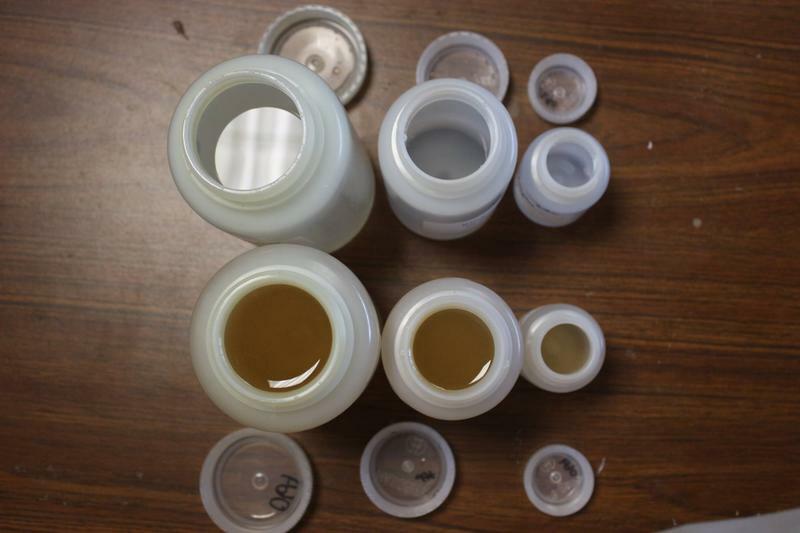 But a source close to this criminal investigation says it’s the combination of factors in Flint’s water sampling that merited the criminal charges: The city testing the wrong homes, the state’s regulators looking the other way and then invalidating samples with high lead levels – combined with pre-flushing – made the practice worth mentioning in the criminal complaint. All those things combined created a misleading picture of Flint's lead problem. That’s important, because research shows lots of cities in Michigan have followed the state’s guidelines. 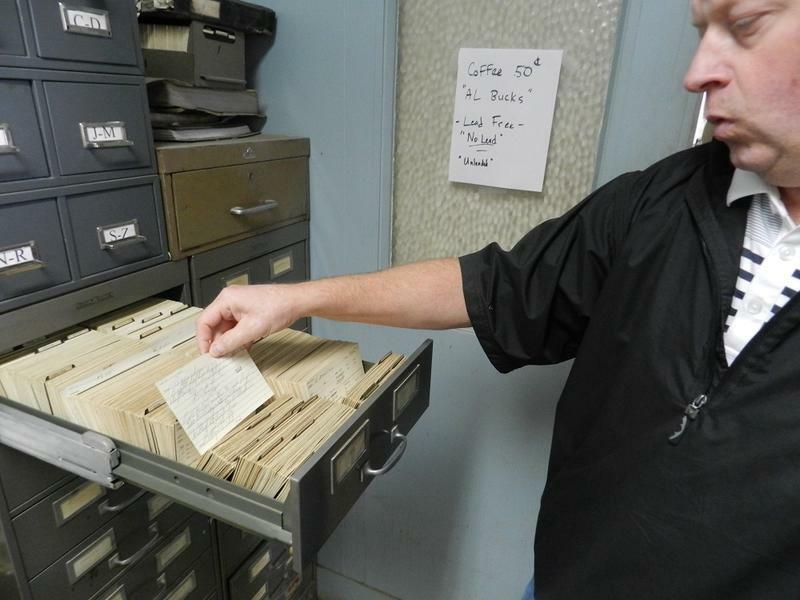 We filed records requests with more than 50 of the largest water operators in the state. We heard back from 41, and all but three of them pre-flush. Plainfield Township, Lansing and Saginaw were the only three that sent sampling instructions that did not include pre-flushing. So it’s fair to say, it wasn’t just Flint. Pretty much every city has been pre-flushing. It means we might be underestimating lead levels in drinking water, especially in older cities, where lead service lines are more common. 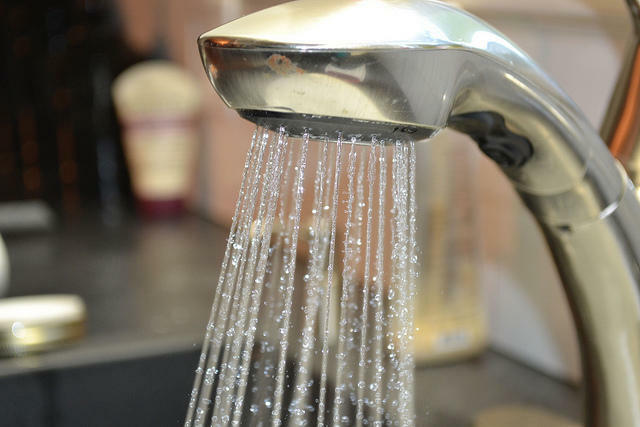 Assuming cities continue to follow MDEQ’s guidance, and adopt the revised sampling instructions put out in December that stop instructing people to pre-flush before they draw water samples for testing, we could find cities reporting higher lead levels. It’s something we’ll keep an eye on as cities do compliance testing this summer. Members of Michigan’s congressional delegation see today’s criminal charges as just a step in the right direction. On a conference call with reporters, U.S. Rep. Dan Kildee, D-Flint, welcomed the filing of criminal charges against two state regulators and a Flint city employee in the Flint water crisis. “But it would be incomplete if that justice did not also include those who did this to Flint … meaning the state government,” says Kildee. An official in the state Attorney General's office says warrants were issued this morning in 67th District Court against Flint Utilities Administrator Mike Glasgow, Michigan Department of Environmental Quality District Engineer Mike Prysby, and former Supervisor of the MDEQ’s Lansing District Office Stephen Busch. The charges stem from their involvement in the Flint water crisis. 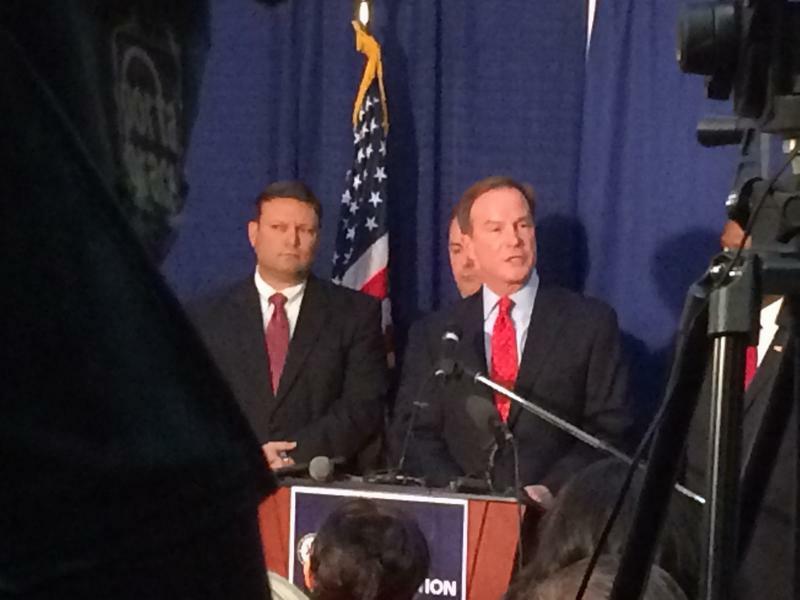 Attorney General Schuette launched the investigation three months ago. In addition to the charges against the three individuals, Schuette said more people will be charged.